Offices are places where people spend at least 8 hours a day, which means they’re sort of like a second home to them. As such, the way the office is designed certainly has a great influence on employees, both on a personal and work level. An office space should be more than just a pleasant sight – it should ensure people stay happy and healthy, and motivate them to perform tasks efficiently. With that being said, a company that strives to be successful should invest a great deal of its attention in the way their offices are laid out. In fact, many leading companies hire professional office fit out companies to help them create a productive and motivating workplace. 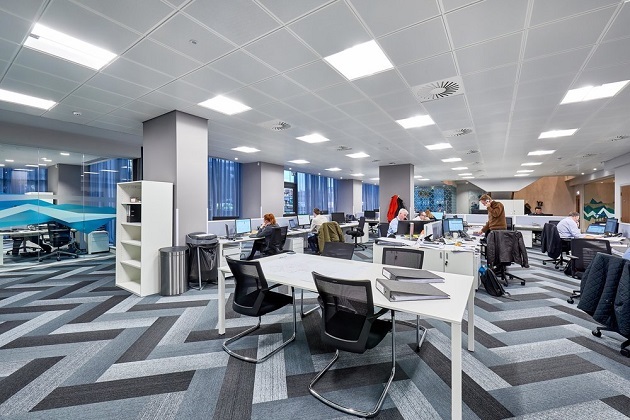 Here are some of the reasons a good office fit out can be a company’s most important asset. A productive employee is a focused employee. But in a busy office environment, distractions tend to be a common problem. To reduce the noise your employees face from the outside, it’s important to have walls and windows with good sound insulation. However, there’s also the interruptions that come from the inside to think about. For that reason, when creating your office layout, make sure to dedicate a private space to every employee. This doesn’t mean building confining cubicles, but rather using elements such as room dividers or panelling to promote privacy and focus, without obstructing the open feeling of the space. When you’re part of a workplace, you’re part of a team. Unfortunately, the only time most employees see their team members is over at the water cooler. A good office design should create more opportunities for chance meet-ups and socialization. Co-workers that regularly communicate among themselves tend to collaborate better on team projects. Try to keep your office atmosphere fresh and friendly by creating lounge areas, a common dining area, and other places where employees can get to know each other. The standard design of office furniture can cause burnout and even health problems for many employees. This, in turn, can lead to frequent and longer sick leaves and as a result – loss of productivity and revenue for the company. Considering how sitting for long periods of time causes back pain and even cardiovascular problems, office furniture that’s comfortable and ergonomic is of great importance for employees’ health. Saddle chairs, sit-stand desks, ergonomic keyboards and computer mice are just some examples innovative office furniture and accessories that can have great health benefits for workers.